Avatar the last airbender. . Wallpaper and background images in the Avatar: The Last Airbender club tagged: avatar the last airbender funny picture last airbender the. This Avatar: The Last Airbender photo might contain ڈاؤن لوڈ ہونے والے, مزاحیہ کتاب, منگا, کارٹون, ہالی ووڈ, and کامک بُک. Yeah. Tell me about it! why does she look pregnant? isn't that katara? Raven, its an episode where Aang was pretending to be a fire-nation student at a fire-nation school, and he got in trouble so the principal asked to meet with his parents. 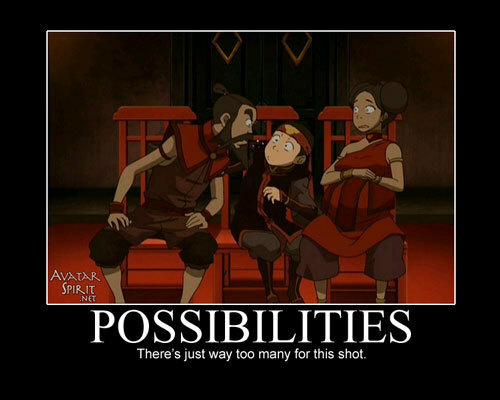 So Katara and Sokka are pretending to be Aang's Mom and Dad. well the picture is right just too many to even think about it!